Crave is a new strategic deck building game you can really sink your teeth into, featuring modern day hipster vampires versus vampire hunters. You'll battle your opponent and use your influence to bring new characters, spells, actions, and items to your side. Each game is unique based upon what you see available to acquire, in addition to the varying paths your opponent may take. Crave is a fast playing, competitive game for 2 players per set, playable for up to 6 players at a time. You represent either Vampires or Vampire Hunters, and can acquire new characters exclusive to your side, as well as other factions available to either party. Each turn, spend your influence to gain new cards which make your deck more powerful. Equip items to characters, and create special combinations unique to your side, whether you are a vampire or vampire hunter. Use patrols to block your opponent, and poison their deck with wolfsbane and other plants. Win by draining your opponent's health before they do the same to you in your battle to survive. AVES Playing Cards are a critically claimed fine art playing card deck, illustrated by artist Karina Eibatova and produced by Bryan Sloan under the LUX Playing Cards label. These luxury playing cards are printed by USPCC and Bicycle branded. Each face card is a custom, hand illustrated bird, drawn with love and inspiration from nature. The Villagers is a “mafia” or “werewolf” type of social deduction party game played by two teams: The Plague Doctor team, and the Villager team. The game requires a Moderator who runs the game. The Villagers has 25 different roles, and is set during the time of the Bubonic Plague. In the Villagers, you’re either with the Plague Doctor team or the Villager team. 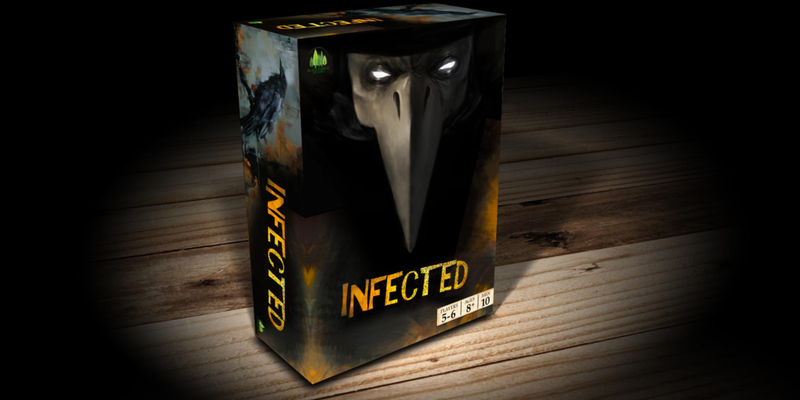 The Plague Doctors will try to infect a new Villager each night, while the Villagers try to deduce who in their midst are Plague Doctors in hiding. The Plague Doctors are posing as Villagers too, so who do you trust? Exile a new player each day, but beware, as new infections plague your village each night. Our new party game, Emotional IQ, pits your mouth against your brain. Who will win? In Emotional IQ, you will choose one Sentence Card and one Emotion Card. You'll have to verbally deliver the sentence using the random emotion you drew. Your team needs to decipher which emotion you used. Tough? Yes. Hilarious? Yes. Rise of Man: Stone Age is our new strategic tabletop card drafting game. You'll select actual Stone Age resources among hundreds of cards to overcome Obstacles in each of 5 Rounds of play. You're a tribal leader, and you'll need to collect resources like Obsidian, Flint, the Juniper Tree, Trout, the Woolly Mammoth, and more. The Stone Age is a treacherous time. Can you not only survive, but thrive? Add your name and email above to be notified of game updates, including release dates!